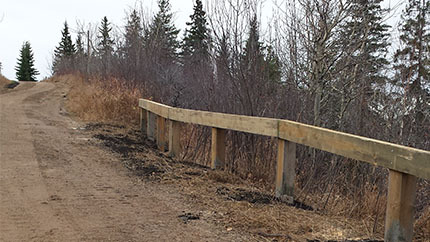 On May 24, 2016, City Council approved the Environmental Report for the East End Trails. On March 1, 2014, the City hosted a public open house to solicit feedback from community members on the proposed East End Trails. Meetings were also held with property owners whose properties are adjacent to the trail route as well as community league representatives from nearby communities. The public engagement summary report details the feedback received from the open house and the meetings with property owners and community league representatives. No further public meetings are scheduled at this time.